When I got pregnant for the first time I was really worried about stretch marks. When I got pregnant the second time I was still worried about stretch marks. I know they are a beautiful thing as they reflect the amazing transition our body has gone through but I was still worried. I made sure to lather up morning and evening with Palmer’s Cocoa Butter stretch mark products. I used these products during pregnancy number one and now with pregnancy number two. The three-product line addresses pregnancy stretch mark risk factors including – collagen and elastin breakdown, loss of elasticity, and moisture loss. 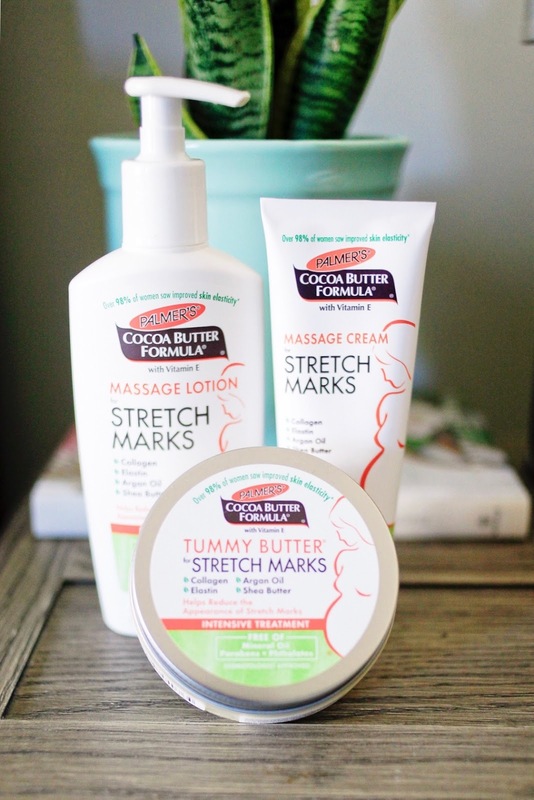 Since my second pregnancy Palmer’s Cocoa Butter has enhanced their line of stretch mark products with a unique blend of natural ingredients, oils and plant extracts. The formula’s are Mineral Oil-Free, Hypoallergenic, Phenoxyethanol- Free, Paraben/Phthalate-free, Allergen free, Dye-free, Suitable for Sensitive skin and Dermatologist Approved. 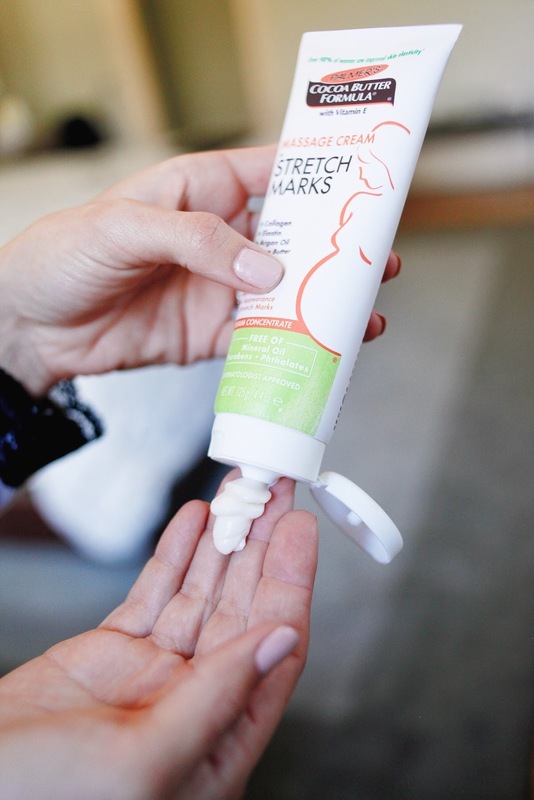 Palmer’s stretch mark fighting ingredients put skin in peak stretch mark fighting mode which is what every pregnant women wants! These ingredients include Collagen, Elastin, Cocoa/Shea Butter, Vitamin E, Argan Oil and Lutein. The three Palmer’s products are a massage lotion, a massage cream and tummy butter. The lotion is light weight and non-greasy and it can be used all over the body. The cream is a bit thicker than the lotion and is a cream concentrate formula and is ideal for tummy, hips, thighs and bust. All four of those areas are very important to moisturize during pregnancy! You may think only your tummy get big but the other areas do too and are prone to stretch marks. I use the lotion and cream equally and I love to pack the tummy butter when I travel because I don’t have to worry about it spilling. The tummy butter is an intensive treatment moisturizer, it is a much thicker product than the other two and has a calming relaxing scent that is ideal for nighttime. Next Post We Are Having A ….